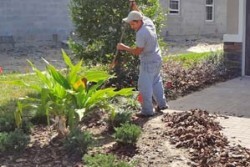 Graham Landscape is your number #1 choice when looking for a landscape designer. We have been designing and maintaining commercial and residential properties throughout the Tampa and Brandon area for the past 10 years. Our goal is to provide you the most elegant setting making your home or commercial property a masterpiece of beauty and the envy of your neighbors! No matter how small of a home or how large of a business facility, we are equipped to handle nearly every size of your landscaping needs. If you are starting a new project or just looking to freshen up the look of your yard or the common area of your commercial property – we have the expertise, the right strategies and great ideas that will inspire you! Don’t have enough free time to keep up with the yard work and the weeds are taking over? Is your current lawn company not making the cut? Is your driveway becoming a part of your lawn? If so, all it needs is a little Graham Landscape TLC. Call us today to bring back the life and beauty your lawn once had. An untrimmed tree can be a hazardous risk. All it could take is one heavy rainstorm with winds to cause limbs to break off or even worse – the tree itself to fall. Protect yourself and those you love, have a professional come out and survey your trees to determine the proper care they need to help eliminate any potential danger. Proper water management is essential in order to maintaining a healthy lawn, flower beds, shrubs and gardens. 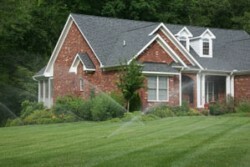 Graham Landscape specializes in sprinkler installation, repairing and managing your water system. 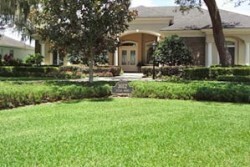 Find out how a professionally installed sprinkler system will bring life back into your lawn.